Take a peek behind the curtain of any fashion show, and you’re bound to find controlled chaos as models, stylists, makeup artists and assistants rush to prepare for the show. 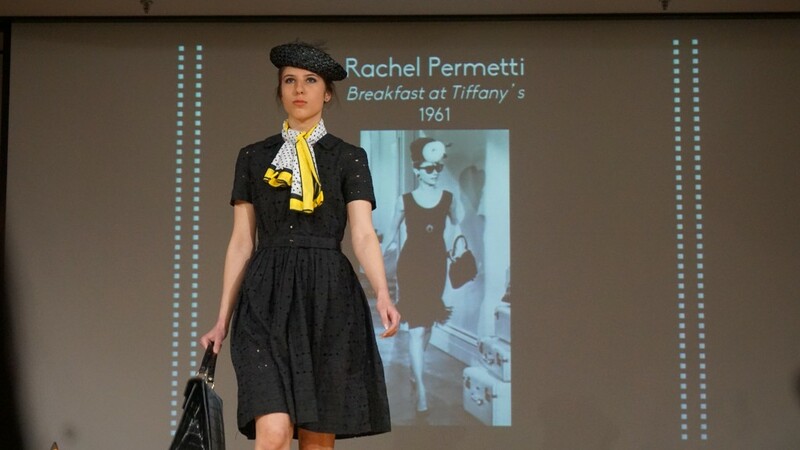 Last week, I worked backstage at the Fashion Student Organization’s Goodwill Fashion Show. 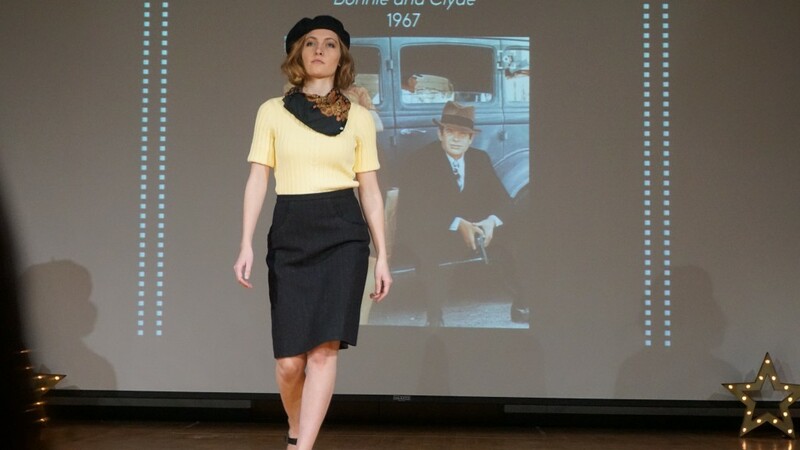 Stylists were to create outfits inspired by a movie of their choice, using only thrifted pieces. I arrived to a sea of models swarming around trying to find their place in the line up. A crew of people were tweaking the bright lights and sweeping the stage to make sure everything was immaculate. I hurried toward the backstage and found myself in a whirlwind of people, garment bags and hairspray. A glance around the room reveals makeup artists buzzing around their vibrant makeup palettes, perfecting each model’s look. I gathered my clipboard and double checked that each stylists’ look went with the proper model. The non-stop action was exhilarating, and the camaraderie that went into producing such a spectacle was amazing, everyone helped each other with a multitude of jobs. I was armed with a lint roller, double sided tape and safety pins to ensure no detail goes overlooked. Maintaining order is important for the shows success and everyone must be on task. When the show started, I became breathless as I saw the models’ sky-high pumps steadily hit the floor to the pulsating music. 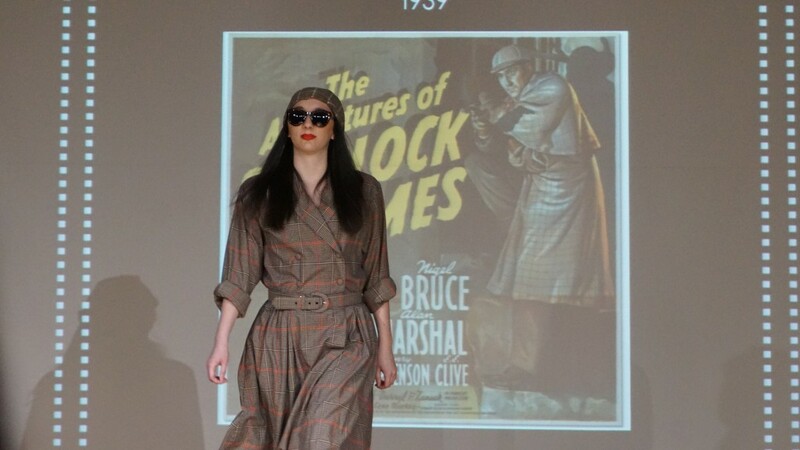 The movie inspiration for each look flashed on a screen behind the model and the stylist’s vision came through to the audience. Look after look, the models sold their character. Finally, the models all did a finale walk together, and a loud roar erupts from the crowd. 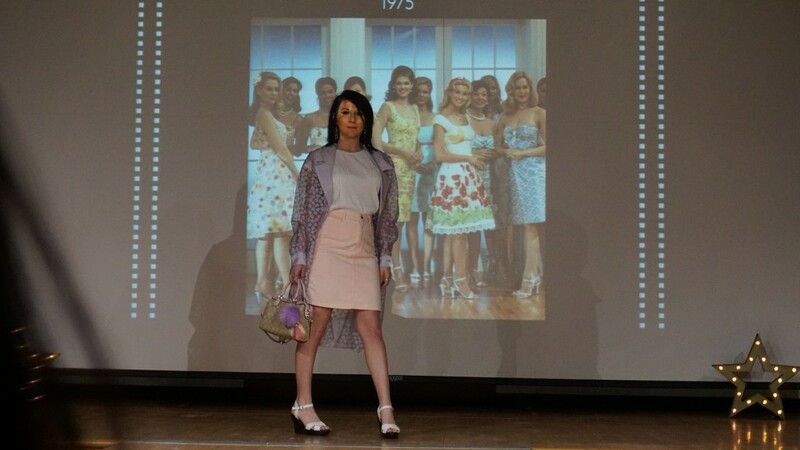 My heart pounded as fast as my hands clapped, and I realized just how additive fashion show production is. The work put into an extravagant fashion show is incredible and I will never stop loving it.